An essential part of the Internet of Things is having objects speak to each other wirelessly. Raspberry Pi's are a great way to do this because of the low cost of available Wifi dongles and the ease of setting them up. 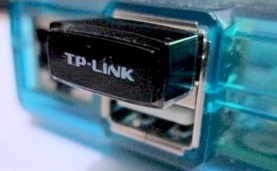 In this tutorial we’ll setup wifi on Raspberry Pi using the TP-Link TL-WN725N usb wifi adapter. You will be welcomed with a screen showing the available wifi networks. If your network is not showing up, you can try hitting Shift+P and then in the “Wireless interfaces” section type wlan0. Check the box “Automatically connect to this network” and then select the encryption type. Type your WiFi password and press F10 and then Shift+C to connect. Once you’re connected, type Shift+Q to exit wicd-curses. We hope you enjoyed this as much as we do! Let us know your comments or inquiries. If you already have a project in mind, click below to get started! Content originally published in Ubidots Blog on May 6, 2014.